One of the cool things about living in Mexico is the great values you can get on most goods. 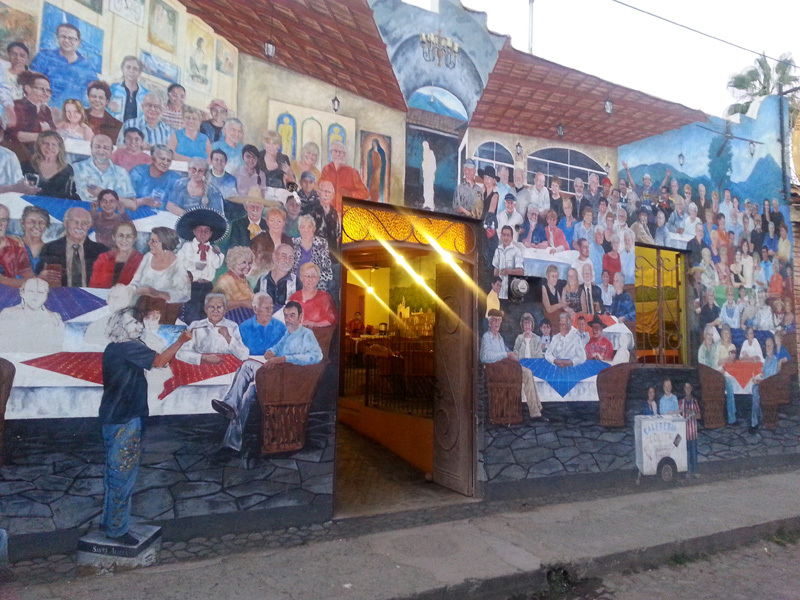 Viva Mexico, a small quaint restaurant near Ajijic, is no exception--they cater to expats with their high quality food and low prices. Augustine, the owner, is known for his kind heartedness and generosity. He also runs a food shelf for poor Mexicans in the area. For 500+ pesos, you can have your picture grace the entrance of his restaurant--all the money raised goes to help him expand his charities. New Year's Day was predicted to be cool and rainy, but turned out to be a great day. Michele, the lady in pink in the background, opened her home for a potluck get together for 50 plus people. 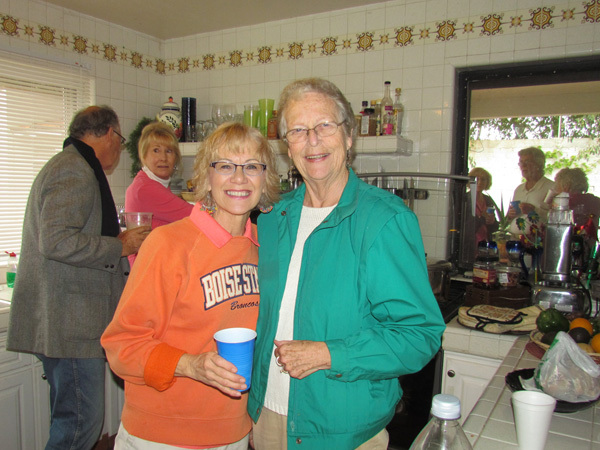 Here is Glorine with Carol Dickinson, (who hosted a farewell party for us last spring) both helping out to make this a great party. And that it was! We had an extended cold spell (that means a couple of weeks of temperatures in the high 50s, cloudy with intermittent rain). 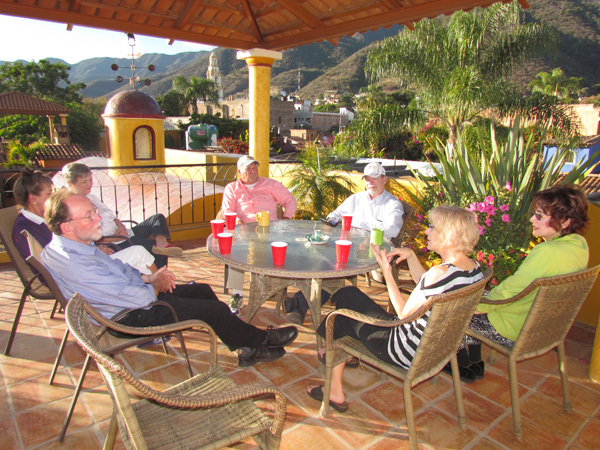 The mirador at our casita was the ticket once the sun came out. 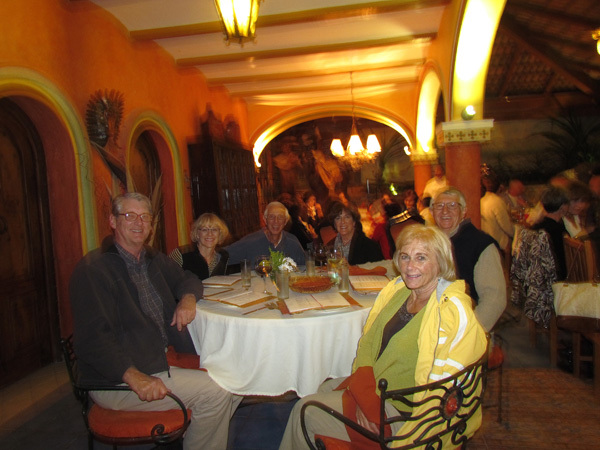 Wayne, Maureen, Jerry, Gloria, Donna and Allistair joined us for a dinner of Glorine's delicious White Chili Chicken. Time at Maureen and Wayne's includes time in the community pool and hot tub (one of the nicest in Ajijic), a great meal, and a game of Rummy Cube. 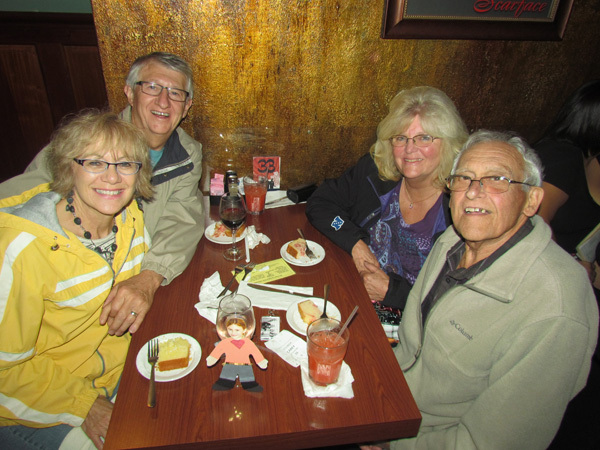 Here we are joined by Chuck, Jean, Mary and Phil winding up another fun evening together. 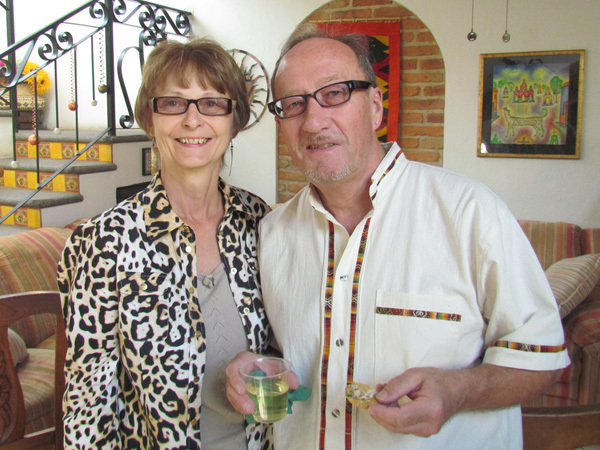 Dinner parties are the norm in Ajijic, however, with Lil and Norm, they are exceptional. Norm is probably the very first person we met when we started coming to Ajijic back in 2007 and have remained close ever since. His darling Lil, is busy in the kitchen, cook'n up the best Pazole soup "ever". Meet Drs. 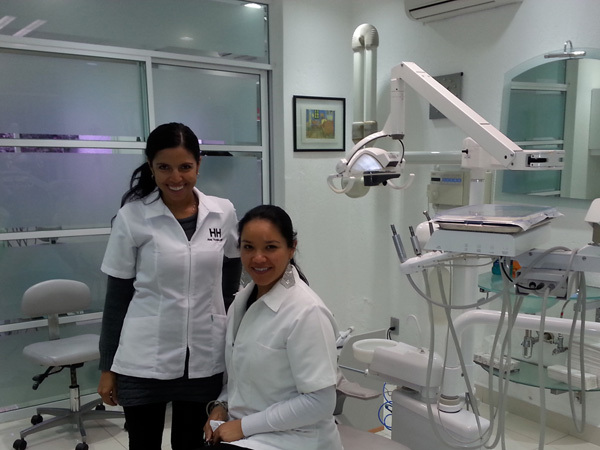 Ana and Pilar, they have been our dentists for the past four years. It is like a grand reunion each time we have our teeth cleaned. They are both bilingual which makes it easy for us and they have some new awesome technology that we haven't seen in the states. Teeth are fine for another year! A Minnesota get together with friends Kay, Gary, Carol and Allen. 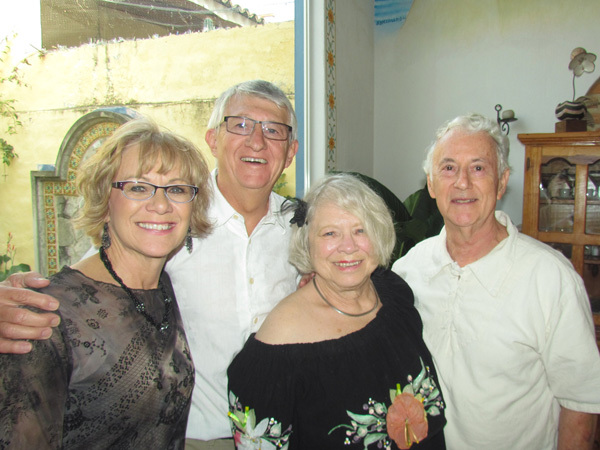 We started with drinks at Kay and Gary's place and a tour of their grand home that they rented for the winter, dined at Ninette's located next to our casita, entertained by two great flamingo dancers, and finished the night off with desserts at our casita. What a special evening! 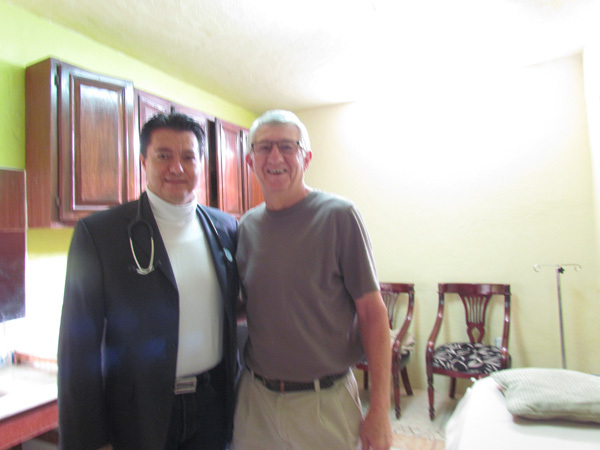 Dr. Gerardo Leon has been Larry's General Practitioner in Ajijic since we started coming to Mexico. He has seen him through broken bones, a few stiches and more than a few bouts with intestinal infections. And the cool thing is Larry has his cell phone number and Dr. Leon answers it himself. 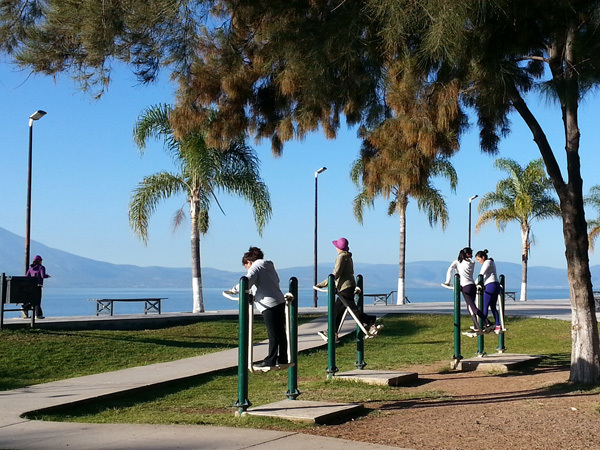 The Melecon in Ajijic runs along Lake Chapala and serves as both a sea wall and a wide board walk that stretches nearly a mile long. Since we started coming here, it has been expanded and improved to include exercise equipment, roller blade park, band concert and a very cool place to hang out and relax. 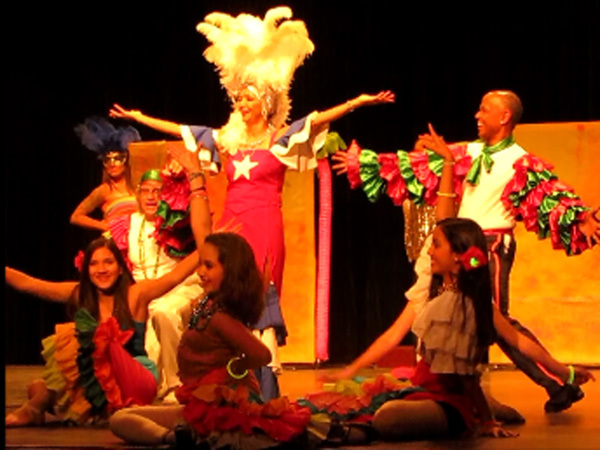 CLICK HERE to join in on the fun we had one evening at Lip Sync, an annual fund raiser for repairs to the auditorium. This is one of 30 acts where local talent would dress up in character and lip sync to some great music. Listen in! Blue Jay Slim (the guy on the left) was recently inducted into the National Blues Hall of Fame and joined up with a local band in Ajijic to entertain us with some great Blues music. Jay Shuffle (on the right) a local who plays the harmonica stoled the show. We joined Wayne and Maureen for a tuna dinner with all the fix'ns for friends of theirs from New York and the New England states. We visited with most of them this past summer. It was great to reminisce. 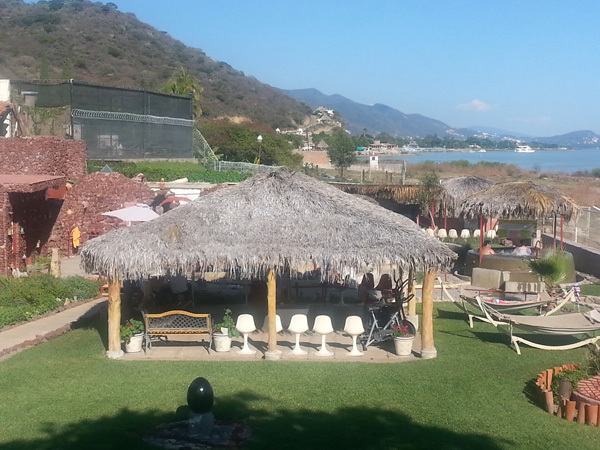 One of the special treats about vacationing here in Lake Chapala are the geo-thermal springs near Ajijic. We spent the entire day soaking in five different mineral tubs, filled with herbs and other homeopathic medicinal cure-alls. Sweet six-seven. After all these years, this is the very first time Larry was truly surprised. This happened at the regular Wednesday evening social, Hector the owner of Manix brought out a cake (thanks to Wayne) and the band led everyone in singing Happy Birthday. And what a happy one it was! They say "time flies whether you are having fun or not" so we adopted a philosophy to always have fun. And how can you not have fun with friends like these? 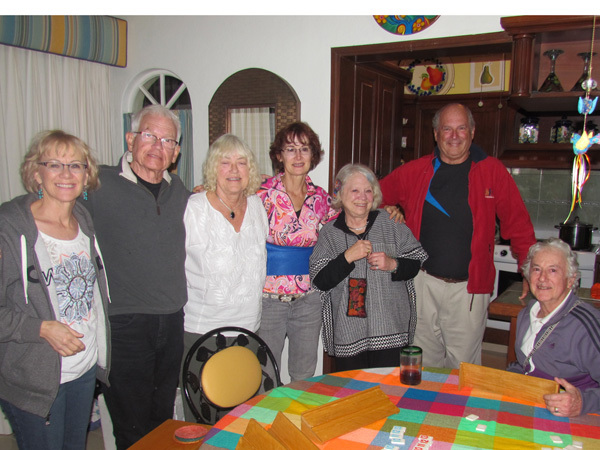 After a short four weeks here in Ajijic, Phil and Mary hosted a going away party for us at their snowbird paradise. 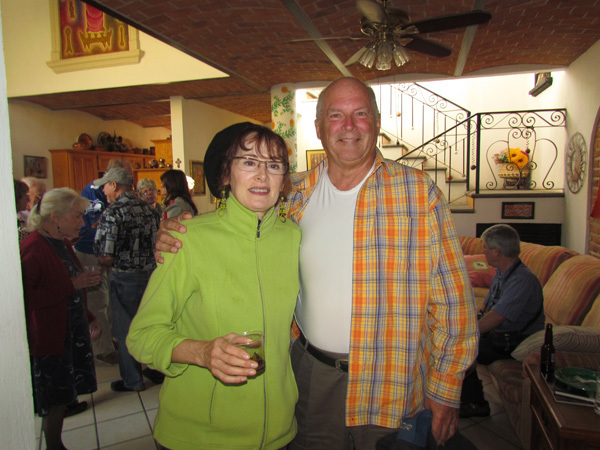 Friends, Chuck and Jean helped organize the party with Phil and Mary. 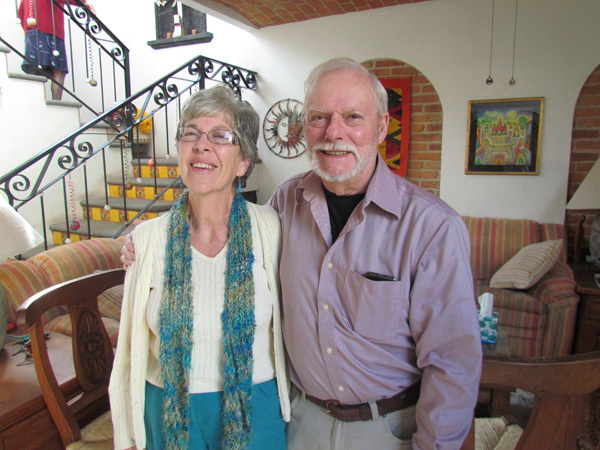 These two were married the same day, month and year as we were, which we celebrated together each year since we met--except this one--they were exploring the jungles and the ruins of southern Mexico. Friends, Lil and Norn met here in Ajijic when we first started coming here. 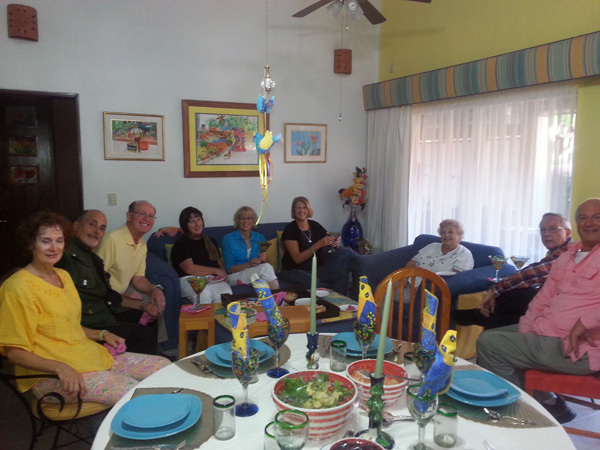 They have a great home in the foothills overlooking Lake Chapala and love to entertain. Thanks to them, our Jeep will have a summer home, along with all our Mexican belongings that we could stuff into it. 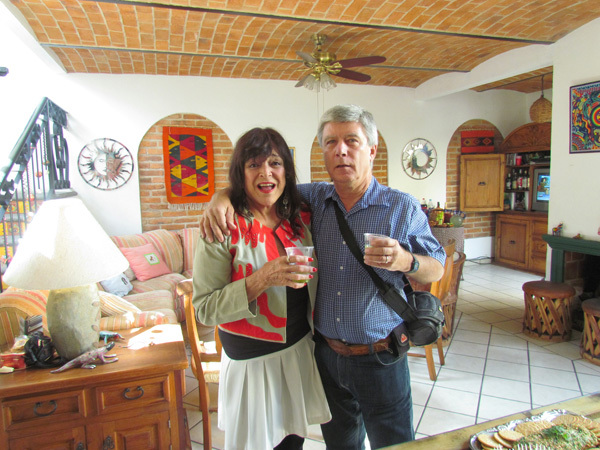 Friends, Jerry and Gloria are full timers here in Ajijic. 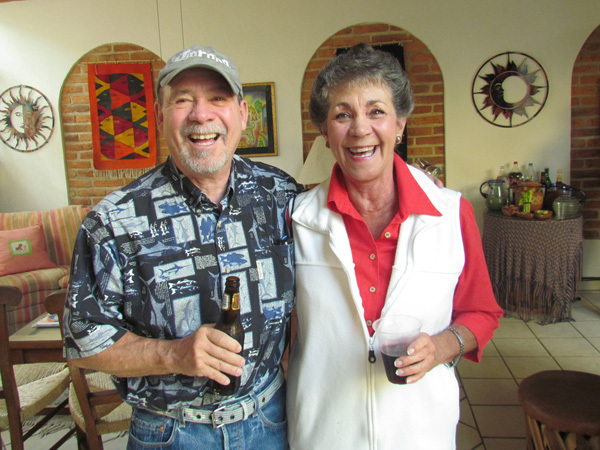 After leaving the wetlands of Oregon, they found a bit of paradise here in Ajijic where Jerry can work on his golf score and Gloria can enjoy long walks on the Melecon. 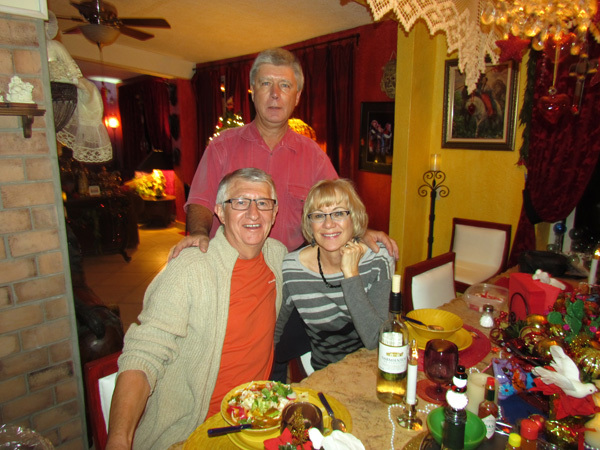 Maureen and Wayne have been living here fulltime since we introduced them to Ajijic six years ago. Both are way too busy with their hobbies and volunteering for different groups around town--but they would not trade it for the world. Friends, Peter and Sybilla just came down from Toronto a week earlier for a few months out of the snow. With a new grandson, they are torn between more time with him or more time away from the cold, so they split the difference and decided to do both. 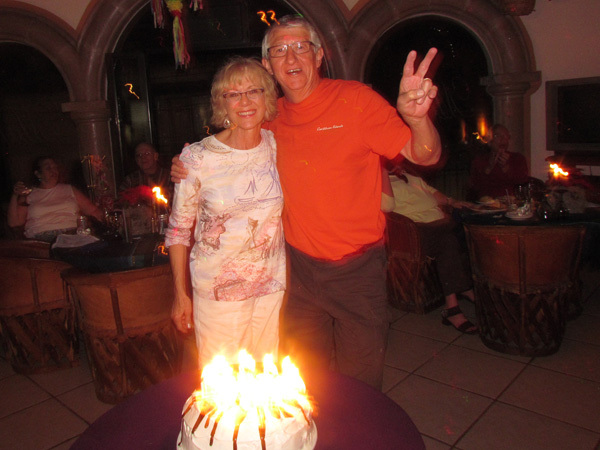 Friends, Keith and Maureen are also fulltimers who left their Canadian homeland for year-round fun in the sun. 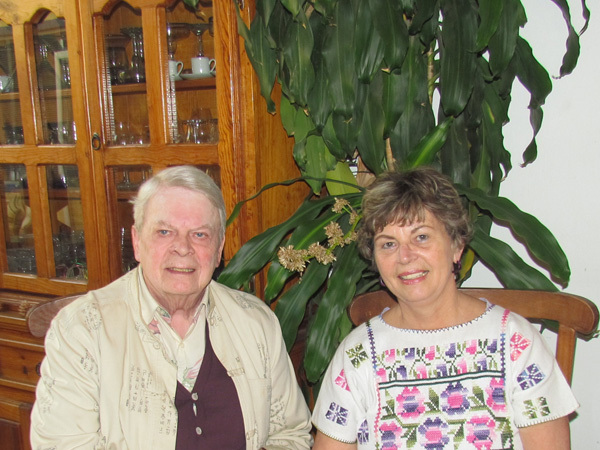 Both keep busy with one of the nicest gardens in all of Ajijic, cooking, teaching classes at the Lake Chapala Society and lots of volunteering. Plus they have four lovely Shelties. Margo and Jim are among our newest friends. They live in Regina, Saskatchewan until they retired and started wintering here in Ajijic last year. 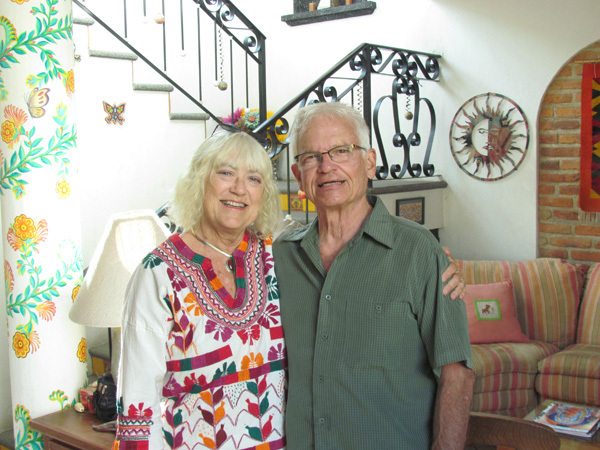 They fell head over heels in love with Ajijic and bought a home to winter in. 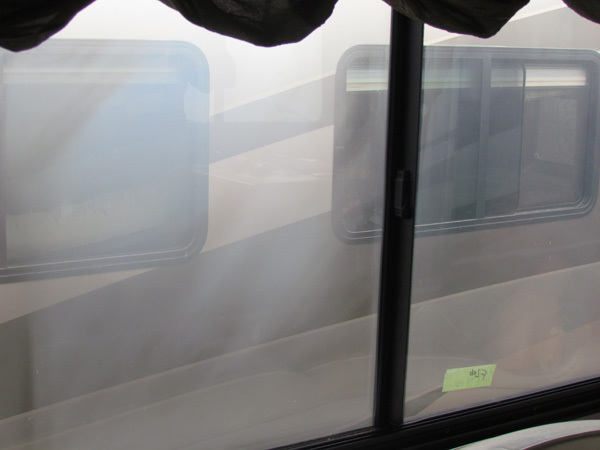 The four weeks we spent in Ajijic are like a fog, much like the windows in our motor home. But that we could fix. We had a specialty shop remove, clean, reseal, vacuum, and install nearly all of our windows. Wow, what a difference! We still watch very little commercial television. However, we do watch lots of movies and mini-series via DVD. 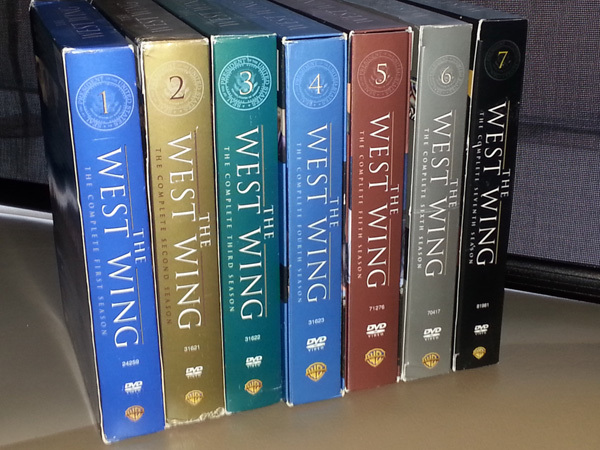 We got hooked on West Wing and watched all seven seasons of it since we left New Jersey in early November. A great mini-series and worth watching again! 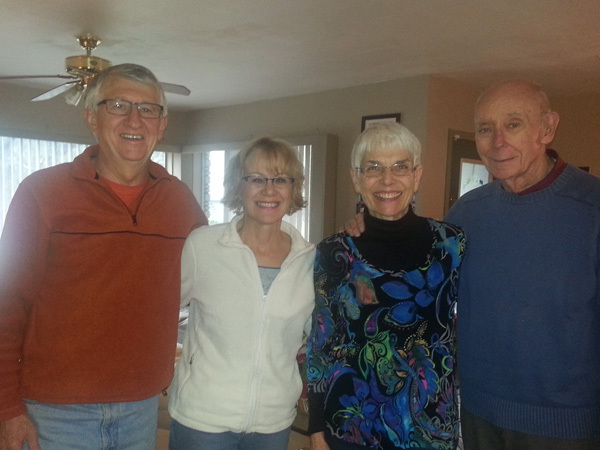 Ron and Dori Ingersoll are colleagues that Larry got to know quite well while working in Boise. They live less than an hour from our campground, so we let them know that we were nearby and they invited us down for lunch and lots of catching up. They live in a multi-generational home - grandparents, two daughters and a granddaughter. Way cool! This is our son-in-law Craig's Mom and step Dad, Cheri and Al. They live in Minnesota also, but spend their winters in the Sunshine state. 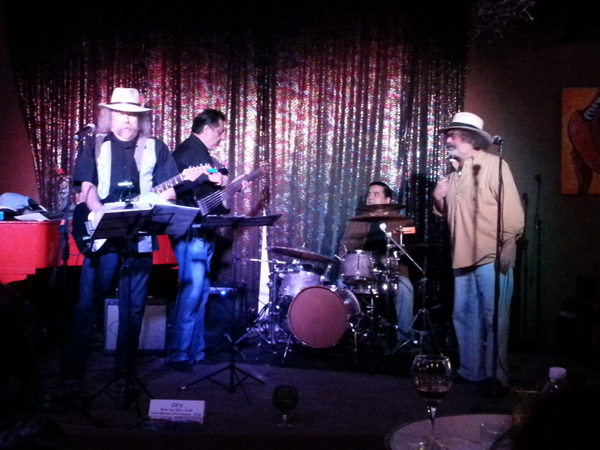 They had us over for drinks, then treated us to a "speak-easy" dinner theater. Note that Flat Dakota joined us for the evening. A secret password got us into one of Al Capone's many speak-easies that were up and running during prohibition. 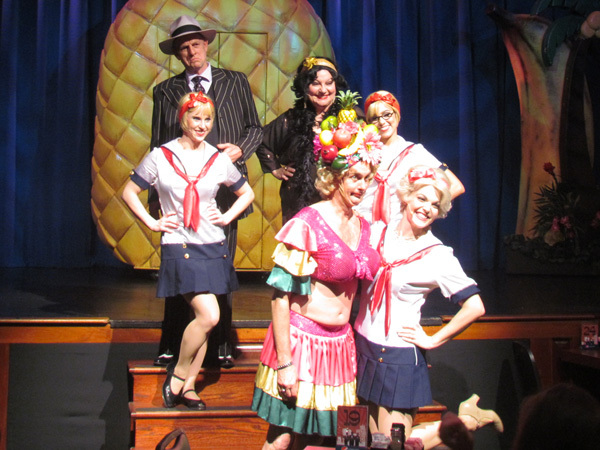 After a great buffet, these actors sang, danced and poked fun at the audience until we were all laughed out. Yes, another fun night back in Florida.